On a mission to give back to the people of her community, Angela Washington has worked hard to become an expert in nonprofit administration, equine therapy, entertainment, and art and sports law. She believed that accruing knowledge in those areas would play into her skill set while helping her achieve her goals, and she was right. Although Ms. Washington started out as a corporate lawyer, she is currently focusing her practice on more community-minded endeavors. Over the years, Ms. Washington has seen a growing need for services for victims of domestic violence, sexual assault, and custody issues. She decided to transform her practice from tax-centric into a barefoot community firm with the support of family, friends, churches, and kind strangers as benefactors, and she often offers pro bono legal services to business start-ups, musicians and charitable organizations. She also developed a strong interest in teaching leadership through equine experiential therapy. As a champion equestrian jumper with her thoroughbred, Dante, Ms. Washington is no stranger to the benefits horses can have on people. She began training in the subject in 2008 with world-renowned author and horse trainer Linda Kohanov in New Mexico. She founded a charity nonprofit, EarthAngels, to provide equine therapy, consulting, and wellness development and training. ​Some of Ms. Washington’s previous legal experience includes serving health and business clients and creative arts client (including music and the visual arts), and working as an intellectual property attorney in the employment field dealing with non-compete contracts for IT professionals and other supervisory personnel. She also handled matters related to entertainment law, including copyright and trademarks, enforcing the moral rights of the clients, and speaking on ethics and copyright. Additionally, Ms. Washington has often advised nonprofit boards on organizational management, due diligence, and fundraising. She also conducted workshops on leadership training using horses. Before starting EarthAngels, she practiced as a staff attorney with the Metropolitan Government of Nashville and Davidson County, and was a staff attorney and lobbyist for the Tennessee Medical Association, corporate counsel for Acuff & Associates, and an associate attorney at Mason & Peterson. 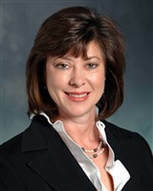 Ms. Washington prepared for her law career by earning an Associate of Science from Columbia University in Tennessee in 1984, a Bachelor of Business Administration in management from Belmont University in Nashville in 1988, and a Juris Doctorate from the University of Tennessee in 1992, where she served on the Tennessee Law Review. She is admitted to practice before the United States Tax Court and all of the state courts of Tennessee, and the U.S. District Court for the Middle District of Tennessee. While attending college, Ms. Washington worked for the Travelers’ Rest Arabian Horse Farm and interned at various law firms during law school. She clerked for the Honorable B. Waugh Crigler, U.S. Magistrate Judge for the Western District of Virginia, in Charlottesville, Va., following her graduation from the UT College of Law. To keep abreast of developments in the law, Ms. Washington is a member of the American Bar Association and the Tennessee Bar Association. She is an alumna of the Young Leaders Council of Nashville, TN, and served as a Rotary Club Professional Exchange Team Member to Western Canada in 1994. Ms. Washington’s achievements have not gone unnoticed. She was featured in various editions of Who’s Who in American Law and Who’s Who of American Women, and was recognized for completing more than 50 hours of pro bono work in 2015, 2016, and 2017. Looking to the future, Ms. Washington hopes to broaden EarthAngels’ services to offer more to communities, and to strengthen the board of directors’ vision through additional speaking engagements and volunteers for functions. She would also like to return to work on mental health reform legislation, and to someday run for a judgeship. When Ms. Washington has free time, she enjoys horseback riding, reading, and photography.